My Hornet, comlete with rust !! Re: My Hornet, comlete with rust !! I agree. This car looks a very good aprentice, but shot blasting is simply necessary for long lasting rust treatment - imo. Keep up the good work, a few hundred hours and You'll have a pretty car . I must admit I have hardly moved forward with this project but we are about to. My eldest son (26 & Mini Mad) said to me the other day "How about if I do the Hornet and get it all sorted, you can use it when you want but it becomes mine", I said I would think on it. Well I thought a little and thought a little more and came back with my thoughts and I said to Richard "Right, you do most of the welding, I will make up repair panels and do the donkey work, you help when needed and then, I still own it, you can use it when you want and so can I, but when I pop me clogs it becomes yours. 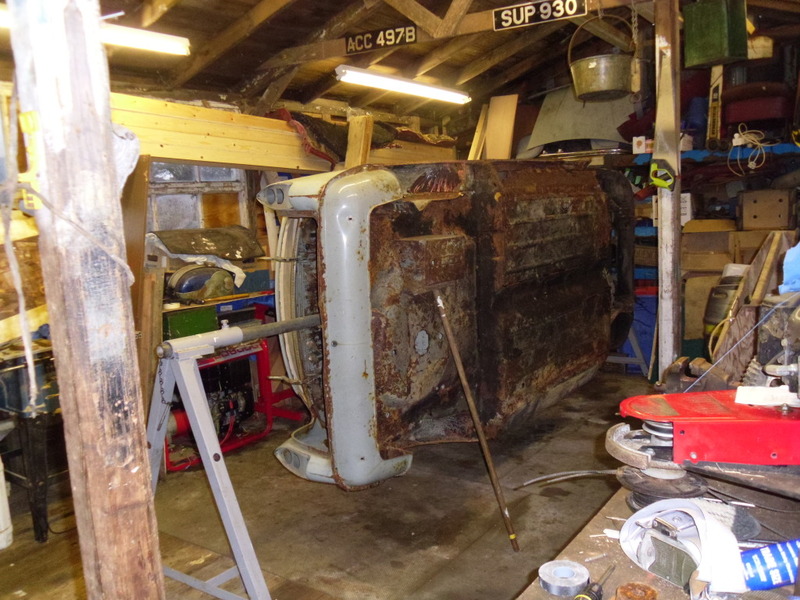 another good idea is to never leave the garage until you have accomplished something on the car, even if it's cold and wet ouside and all you've done is cleaned and painted a seat bracket or something, at least something has been accomplished it works for me.....usually! Over the Holiday we are going to assess what panels we can make and what we need to buy and put in an order.